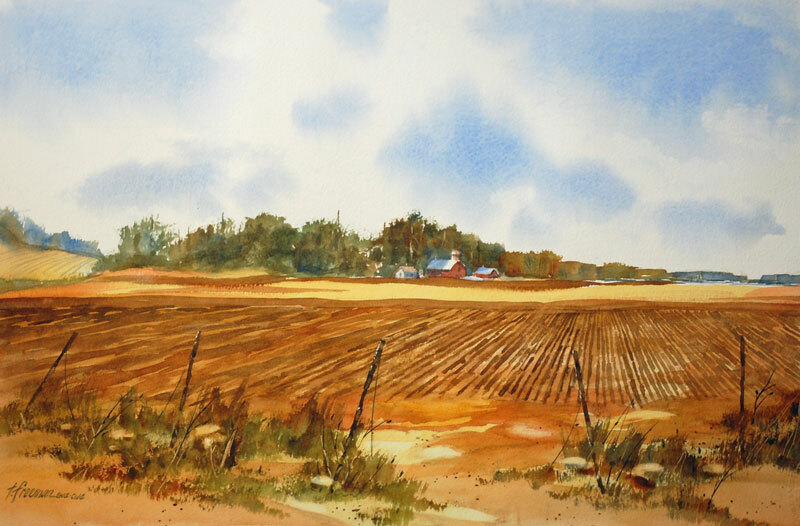 Thomas Freeman Original Watercolor Painting: "Middle America"
I like the wide open space of Midwest areas and farms that seem to go on forever. Gently sloping hills, and barns that are dwarfed by the sheer size of the farms. Of course, the fences always seem to be in disrepair. The rich smell of freshly plowed earth, for the next planting, is strong after a rain.